This is a mostly spoiler-free recap of last week’s D&D Encounters session. On the eve of my next Encounters session, I realized that I neglected to share my experiences from last week! So while it’s a little late, here’s how it went. Last week was my first week playing my Hybrid as a level 2 character. After rolling up and swapping out a feat, I felt much more productive as a party member. Granted, I’m not doing crazy-lots of damage, but I’m hitting more frequently and for more damage. This last session brings us into the final chapter of the season, and I really enjoyed the set-up and tension-building last week. It really felt like we were working up to something big, but that something is still lurking in the shadows, so there is still some mystery to our adventure. I’m definitely looking forward to this week’s session! Is D&D Encounters designed to allow for late additions? I would love to go play (I always DM for my group and would love to play 4e as a PC), but don’t want to crash the party if it is a sign-up-at-the-beginning-or-don’t-sign-up-at-all type thing. 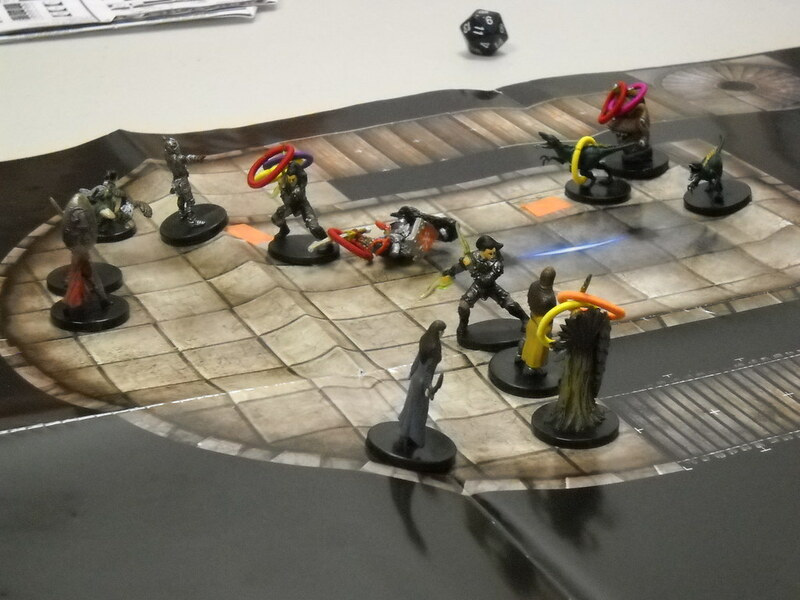 It’s pretty easy to jump in mid-season with D&D Encounters, as long as there is an open spot at the table. The season is almost over, but there are still a couple of session left. I’d check with your FLGS… and good luck! I’ve been digging these recaps (especially since I haven’t been able to get to any Encounters sessions), so thanks for posting them!